Toggle latches – snap to it! 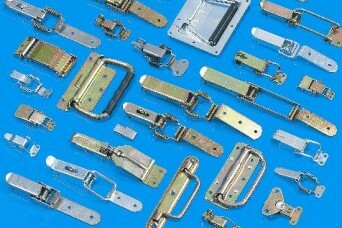 Toggle latches – or over centre catches – find wide and varied usage in industries as diverse as packaging, insulation, electronics, signage, street lighting and railways – our current range is based on many years experience in these applications. 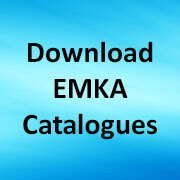 See here for a detailed catalogue of the 6000 Program. Among the many available are the basic style of toggle latch which is a rigid type for situations where a solid hold is required, e.g. on pipework insulation. Where a soft close is needed then spring versions give controlled pull up against gaskets or maintain closure under shock and vibration conditions. Variants in the program include high strength 90º components to work around corners, as well as quarter-turn toggle latches which fold flat after operation. These quarter-turn items and conventional low profile types are ideal where space is at a premium – e.g. on aircraft transit cases. Where variation in the closure is called for, then we have the 6008 series which can adjust from 0-10mm to accommodate. Most latches in the range are available as padlockable types, and for custom configuration it is possible to mix latch bodies with strike plates to give longer or shorter items to suit particular cabinets or boxes. Share the post "Toggle latches – snap to it!"